Johnny Valentine is the father of WWF Hall of Famer Greg “The Hammer” Valentine..
1947: Johnny Valentine wrestled his first match against Karl Nowena in Buenos Aires, Argentina..
January 1, 1950: Buddy Rogers defeated Johnny Valentine in the Finals of a United States Title Tournament..
November 1, 1956: Johnny Valentine vs Chet Wallick was stopped due to escessive blood loss in Regina, Saskatchewan..
Johnny Valentine formed a tag team with Chet Wallich known as the Atomic Blonds in the National Wrestling Alliance..
1958: Johnny Valentine won a Tournament to capture the NWA United States Television title in Chicago, Illinois..
November 14, 1959: Jerry Graham chose Johnny Valentine to be his tag team championship partner when Eddie Graham was injured..
April 2, 1960: Red & Lou Bastien defeated Johnny Valentine & Jerry Graham to win the United States Tag Team titles! November 19, 1960: Johnny Valentine & Buddy Rogers defeated The Fabulous Kangaroos to win the United States Tag Team titles! November 26, 1960: The Fabulous Kangaroos beat Johnny Valentine & Chief Big Heart (sub for Rogers) for the US Tag Team titles! January 11, 1962: Johnny Valentine & Bob Ellis defeated The Fabulous Kangaroos to win the United States Tag Team titles! July 5, 1962: Buddy Rogers & Johnny Barend defeated Johnny Valentine & Bob Ellis to win the United States Tag Team titles! February 21, 1966: Johnny Valentine & Antonio Pugliese beat Dan Miller & Dr. Bill Miller to win the US Tag Team titles! September 22, 1966: Baron Mikel Scicluna & Smasher Sloan beat Johnny Valentine & Antonio Pugliese for the US Tag Team titles! February 28, 1963: Johnny Valentine & Bulldog Brower beat Whipper Watson & Bruno Sammartino to win the Inter’l Tag Team titles..
July 25, 1963: Art Thomas & John Paul Henning beat Johnny Valentine & Bulldog Brower to win the International Tag Team titles..
August 1963: Johnny Valentine & The Beast beat Art Thomas & John Paul Henning to win the International Tag Team titles..
September 19, 1963: Art Thomas & John Paul Henning beat Johnny Valentine & The Beast for the International Tag Team titles..
December 5, 1963: Johnny Valentine & Jim Hady beat Jerry Graham & Bulldog Brower to win the International Tag Team titles..
August 26, 1967: Johnny Valentine defeated Boris Malenko to win the NWA Florida Heavyweight title! December 5, 1967: Joe Scarpa defeated Johnny Valentine to capture the NWA Florida Heavyweight title..
December 27, 1967: Johnny Valentine defeated Joe Scarpa to win the NWA Florida Heavyweight title! April 30, 1968: Red Bastien defeated Johnny Valentine to capture the NWA Florida Heavyweight title..
June 27, 1968: Johnny Valentine defeated Red Bastien to win the NWA Florida Heavyweight title! 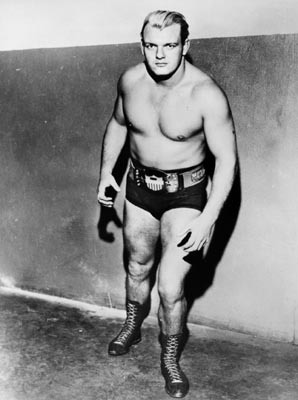 September 23, 1968: Nick Kozak defeated Johnny Valentine to capture the NWA Florida Heavyweight title..
May 10, 1968: Johnny Valentine (as The Big O) defeated Mr. Wrestling (Tim Woods) for the NWA Georgia Heavyweight title! June 14, 1968: Tarzan Tyler defeated Johnny Valentine to capture the NWA Georgia Heavyweight title! November 8, 1968: Johnny Valentine defeated The Professional (Doug Gilbert) for the NWA Georgia Heavyweight title! November 29, 1968: The Georgia title was held up by referee Joe Louis after a match between Valentine and The Professional..
December 6, 1968: The Professional defeated Johnny Valentine in a rematch to win the NWA Georgia Heavyweight title..
December 16, 1972: Harley Race’s Missouri Heavyweight title was held up after a match against Johnny Valentine..
January 19, 1973: Johnny Valentine defeated Harley Race in the rematch to capture the NWA Missouri Heavyweight title..
October 1972: Johnny Valentine defeated Johnny Rougeau to win the International Heavyweight title..
January 1973: Johnny Valentine was stripped of the International Heavyweight title after no-showing the rematch..
February 22, 1973: Johnny Valentine & Karl Krupp beat Kintaro Ohki & Seiji Sakaguchi to win the International Tag titles..
March 2, 1973: Johnny Valentine defeated Seiji Sakaguchi to capture the United National Heavyweight title in Yokohama..
March 6, 1973: Kintaro Ohki & Umanosuke Ueda beat Johnny Valentine & Karl Krupp to win the International Tag Team titles..
March 8, 1973: Akihisa Takachiho defeated Johnny Valentine to win the United National Heavyweight title..
September 1, 1972: Johnny Valentine defeated Johnny Powers for the NWF North American Heavyweight title! September 22, 1972: The North American Heavyweight title is held up after a match that saw Powers pin Valentine! October 1972: Johnny Powers defeated Johnny Valentine in the rematch to capture the North American title! October 19, 1972: Johnny Valentine defeated Abdullah the Butcher for the NWF Heavyweight title in Cleveland..
~~~The title was eventually stripped from Valentine following a match against Johnny Powers..
November 23, 1972: Johnny Valentine defeated Johnny Powers for the NWF North American Heavyweight title! January 1973: Karl Von Krupp defeated Johnny Valentin to win the North American Heavyweight title! August 1973: Johnny Valentine defeated Jacques Rougeau Sr. for the NWF Heavyweight title! Late 1973: Johnny Powers defeated Johnny Valentine to capture the NWF Heavyweight title..
January 1974: Johnny Valentine was awarded the Mid Atlantic Heavyweight title when Jerry Brisco went to Japan..
May 13, 1974: Bearcat Wright defeated Johnny Valentine in a Boxing match by ref stoppage when JV was cut over the eye..
October 28, 1974: The Mid-Atlantic Heavyweight title was held up after a match between Valentine and Sonny King..
November 4, 1974: Johnny Valentine defeated Sonny King in the rematch to reclaim the Mid-Atlantic Heavyweight title..
July 3, 1975: Johnny Valentine defeated Harley Race to capture the United States Heavyweight title..
July 26, 1975 – MACW: Johnny Valentine defeated Harley Race to retain the United States heavyweight title. August 1, 1975 – MACW: Johnny Valentine defeated Ken Patera to retain the United States heavyweight title. September 1, 1975 – MACW: Johnny Valentine defeated Rufus R. Jones to retain the United States heavyweight title. September 28, 1975 – MACW: Johnny Valentine defeated Wahoo McDaniel to retain the United States heavyweight title. October 4, 1975: Johnny Valentine was involved in a plane crash with Ric Flair, Bob Bruggers and “Mr. Wrestling” Tim Woods..
~~~The accident left Johnny Valentine permanently disabled and effectively ended his wrestling career..
~~~Due to this ending of his career, Johnny Valentine was forced to forfiet the United States title..
April 24, 2001: Johnny Valentine passed away at the age of 72..
Johnny Valentine was cremated. His widow Sharon keeps his urn in their bedroom..